Here are the top ten most frequently asked questions about having a water garden or koi pond installed into your landscape. We meet with a lot of people interested in having a water garden or koi pond installed here in the Atlanta, GA area. In talking with these people we realized there are some common questions someone like you may have about having a water feature installed. Read through the questions and answers below to learn more about having a water feature installed. Make note of anything that wasn't covered so we can answer it over the phone or during a consultation meeting at your home. Here is a list the top ten questions that we have been asked over the years about having a pond installed in Georgia. #1 What does it cost to have a water feature installed? Prices in the Atlanta area for a typical fish pond would be in the 9-11 thousand range for a small pond, medium ponds are typically 12-16 thousand and large backyard ponds are in the 20-30 thousand range. Disappearing waterfalls or sometimes called pondless waterfalls are typically in the 15-25 thousand range depending on total length. Stand alone fountains such as bubbling urns, real basalt rocks or spillway bowls are typically in the 2 to 4 thousand price range. You can learn more about pricing and see examples by visiting these individual pages for water gardens, disappearing waterfalls and fountains. ​​​#2 Are water features safe to have around young children? 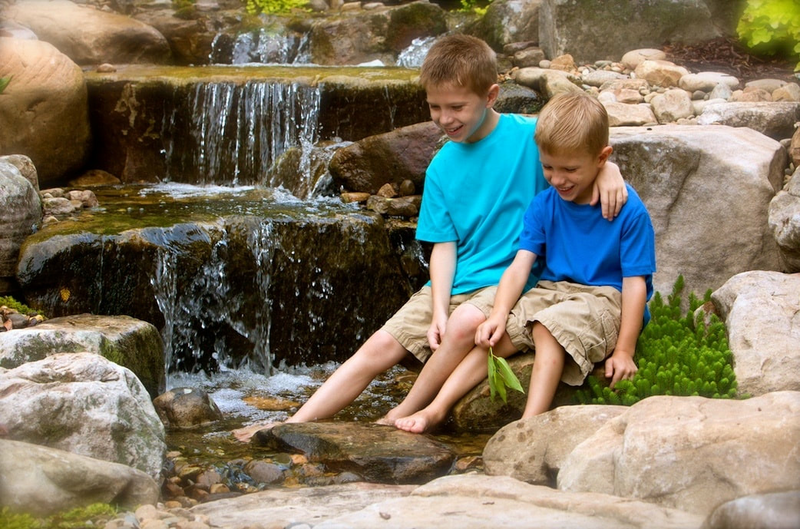 The water features we construct are very safe to have around children. In fact, the pond will become a wonderful outdoor classroom for kids and they will enjoy the fish, frogs and birds that are attracted to them. ​#3 Will I be able to put goldfish or koi in my new pond? Yes! 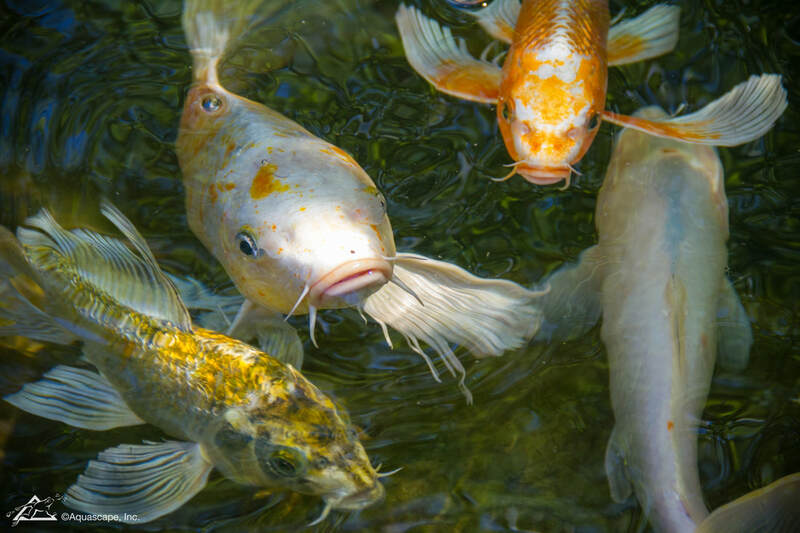 Your new pond will be designed with goldfish and koi in mind. It will include a complete low maintenance filter system and a natural habitat for the fish. Goldfish will do well in any size along with small koi. As koi grow, they may need a larger pond offered in one of our larger pond packages. Pond fish should be fed daily from early Spring to late Fall. ​#4 How long will it take to construct? People are often surprised on just how fast we can install a new water feature. Small and medium sized ponds will be installed in 2-3 days, larger ponds can take 5-7 days. The reason we are able to do the installation in a timely manner is because of our 15 years experience building only water features in the Atlanta area. #5 What is a Ecosystem Pond? During our conversation about your new pond we may say "Ecosystem Pond". This refers to building a pond that is uses nature (along with filtration) to become a beautiful addition to your landscape. A ecosystem pond includes rocks and gravel, fish and plants. #6 Do you run the water feature all winter? 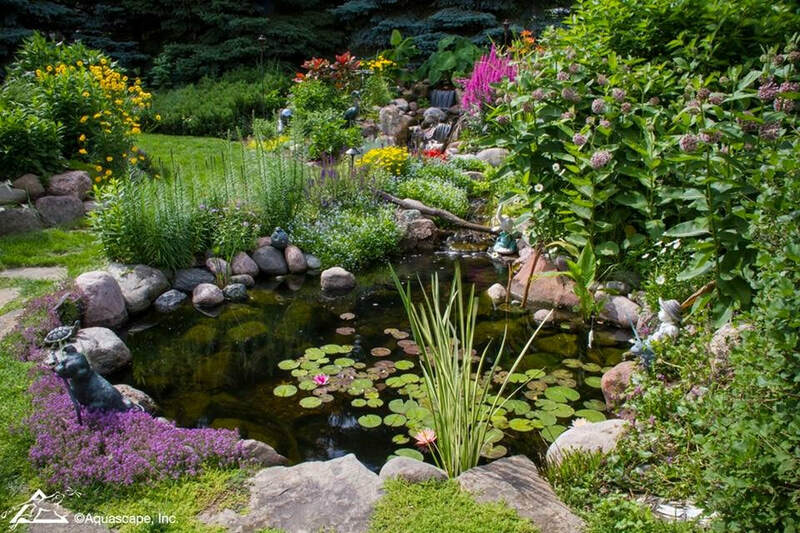 Water features provide homeowners with a unique ecosystem that changes with the season. We suggest running your new water feature all year long even throughout the winter months. Any light snow or ice we get during an Atlanta winter will make your water feature look stunning! It's important to keep it running during freezing temperatures so the pipes do not freeze. #7 Will I get algae in my water garden? Algae is part of what would occur naturally, so some algae will develop in your pond. Algae growth is a sign that you new water feature is starting to develop into a living ecosystem. The good news is that algae can be kept to a modest amount using natural, fish safe water treatments. Aquatic plants will also consume nutrients that algae uses for food, therefore, we suggest covering you pond with 30% of pond plants. #8 How often will I need to add water? You should only have to add water to your pond about once every 3 weeks using a garden hose. This way you will know exactly how much water you are using. Remember, if it rains every couple weeks, which is usually does, that will also fill your pond back up to the normal level. ​#9 Is Electric Service Included? One item that is not included with a new water feature installation is electrical service. We will be glad to provide exact details on what is needed for your new water feature to make it as easy as possible for the electrician of your choosing. We will be selecting an energy efficient pump for your new water feature that will not consume much electricity at all. 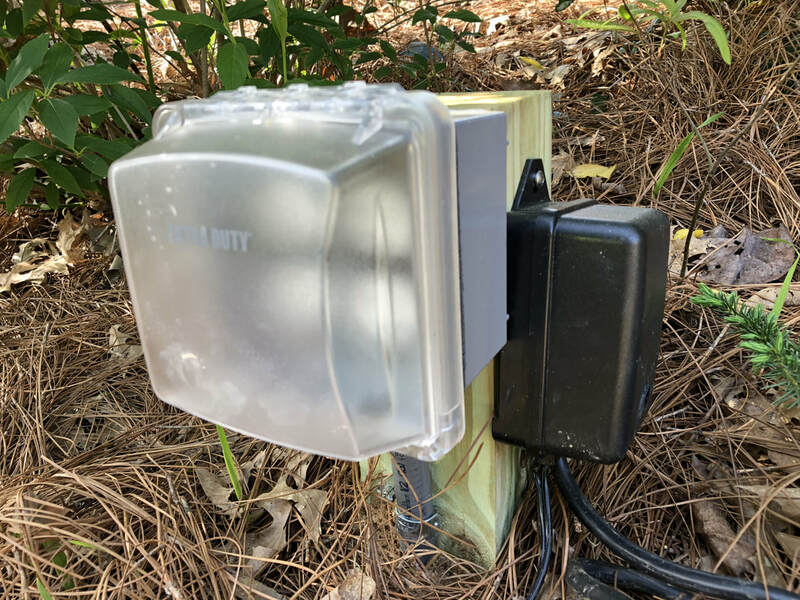 Underwater pond lights will also need a transformer in addition to the outlet for the pump. Our pond lights are LED and use very little electricity. #10 Do I need to cover my pond to keep leaves out in the Fall? We do suggest covering your new water feature as soon as the leaves start to fall in mid November here in Atlanta. This will keep many of the leaves out our your pond resulting in cleaner water. Once stretched across, the pond netting is barley noticeable from viewing from inside your home during the winter months. The net can be removed in the winter or early Spring. Some pond owners may choose to keep their ponds covered to protect the fish from larger birds such as Heron and Hawks. Typically, our water garden installation are over 2ft deep and may include a fish cave to protect your fish.